It is 15 years, almost to the day, that I first went to Sarajevo to start work with the Queens Family Medicine Development Programme in Bosnia and Herzegovina. I find it hard to imagine where those 15 years have gone. I remember arriving in Sarajevo, flying into the airport over houses whose roofs had been destroyed by the recent war. The city had been devastated and in the dreary spring weather looked particularly tired. On March 24 we had a light snow and a cooler dip in temperatures to about 2 degrees. The locals called it “Grandmother’s Breath”. I always wondered why that might be the nickname for this last burst of winter. I always had associated grandmothers with warmth and comfort. Maybe it was grandmother winter saying “I’m not done yet. There is still breath in me.” Just when it looks like spring is on the way, there is a brief and surprising turn to the life of old winter. This reflection made me look through an old journal entry I had written on March 25, 1998. It was the start of an adventure in Bosnia that lasted for 11 years and my foray into International Development that has taken me in a direction I would never have imagined. It is also obvious that digital photography has come a long way in the past 15 years! The apartment where we are staying is very interesting. It is an old, high-ceilinged place on the top of a hill. It has a great view from the balcony overlooking the main part of the city and the mountains beyond. There are several places in the wooden floors that are splintered from bullets that would have come through the windows during the war and the outside of the building is pock-marked with the shelling from grenades. Buildings nearby remain totally gutted. 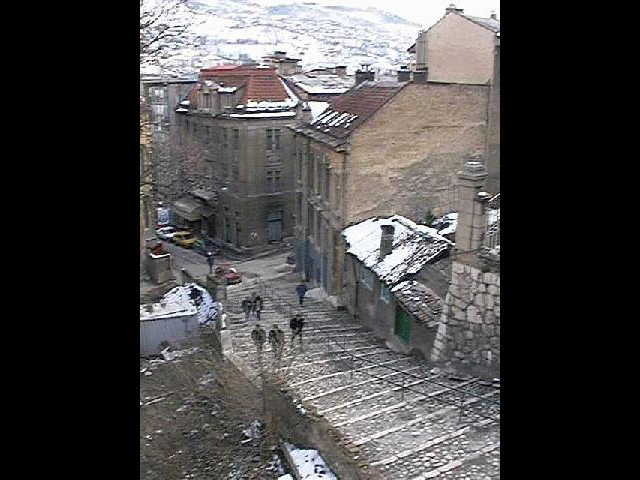 The view from our Sarajevo apartment in March 1998 after “Grandmother’s Breath” had dumped a bit of snow on the city. There has been a light dusting of snow. 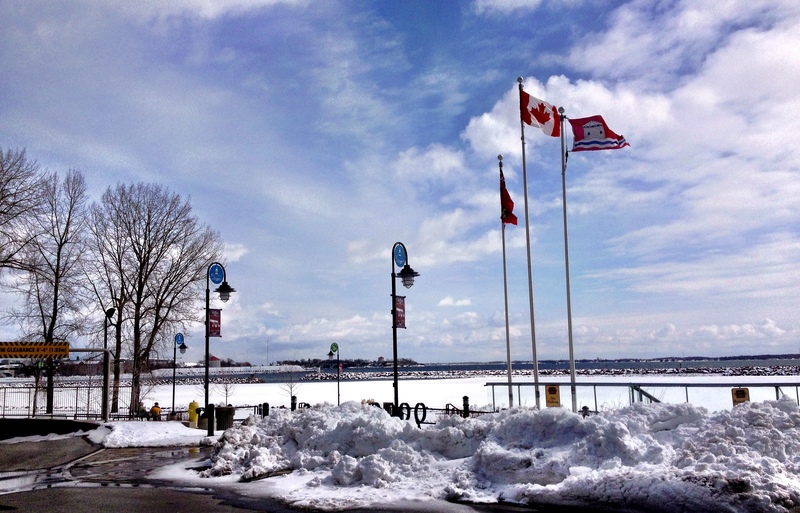 The locals call it Grandmother’s breath, the last winter’s snow. It is about 2 degrees. Today the sun is shining. There are a lot of funny things about living here. The water is often shut off during the middle of the day or at night which makes flushing the toilet a bit of a problem. You have to plan your washroom activities around the water or let it sit there until the water comes back on. Many of the buildings in Sarajevo had been destroyed by the recent war. The food is great. The Bosnians tend to be meat and potato people. Lots of Lamb and Veal but they have some other great vegetable dishes as well. Today for lunch we went to a little restaurant to have Cevapcici, a sort of pita thing made a local bread called Somun filled with grilled sausages, vegetables and onions. This is a popular meal like a hamburger in North America. Last night we went to another little restaurant that was like a deli with lots of good selection of local foods. The local beer (pivo) is called Lachka (or something similar) and I have had a few cans. 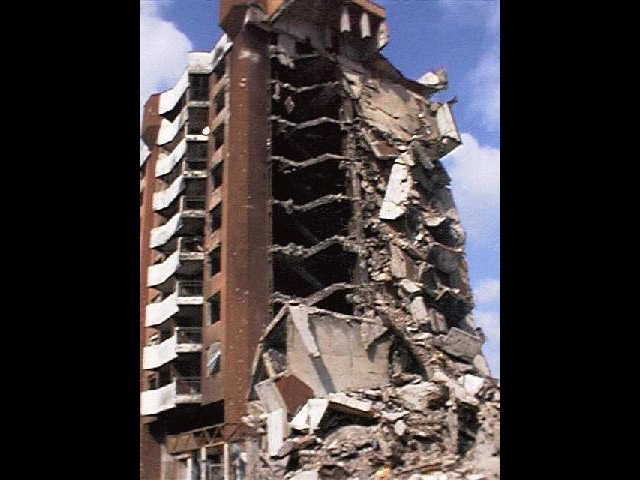 This entry was posted in Uncategorized and tagged 1998, BiH, Bosnia, John A Geddes, johngeddes, QFMDP, Queens Family Medicine, spring, war Grandmother's Breath by johnageddes. Bookmark the permalink.